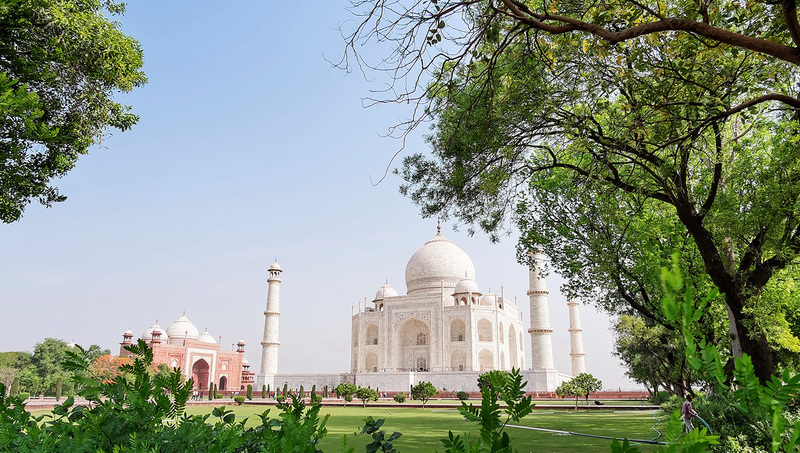 One of the world's largest mausoleums, the Taj Mahal was completed in 1643 under Shah Jahan, who commissioned it in memory of his most beloved wife who died in childbirth. So what are the top architectural features you should watch out for? 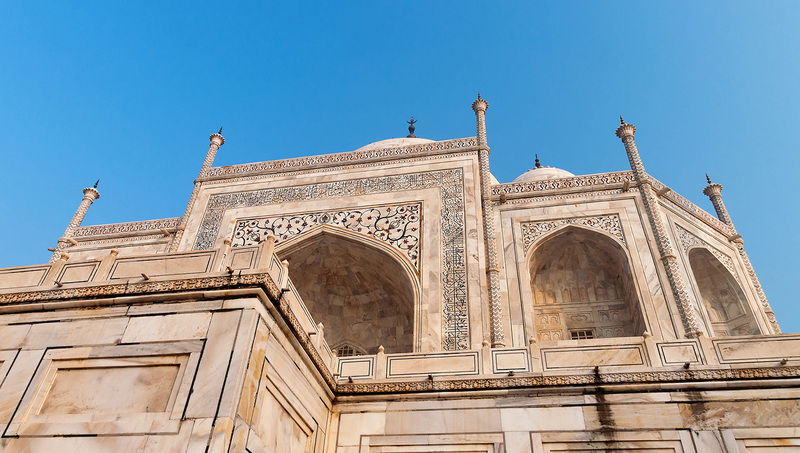 Perhaps the most distinguishing part of the Taj Mahal, this massive feature crowning the building is popular not only in Islamic architecture but also Russian Orthodox. The Taj Mahal is flanked by four tall minarets. In recent years, the Indian Archeological Society has expressed concern at the fact that they are beginning to tilt slightly! The iwans are the pointed arches at the sides. If you take a closer look, you'll see they are decorated with intricate Koranic calligraphy. The awesome tessellating patterns and sweeping geometry covering the inner walls of the Taj Mahal are proof of the confluence of science and art. 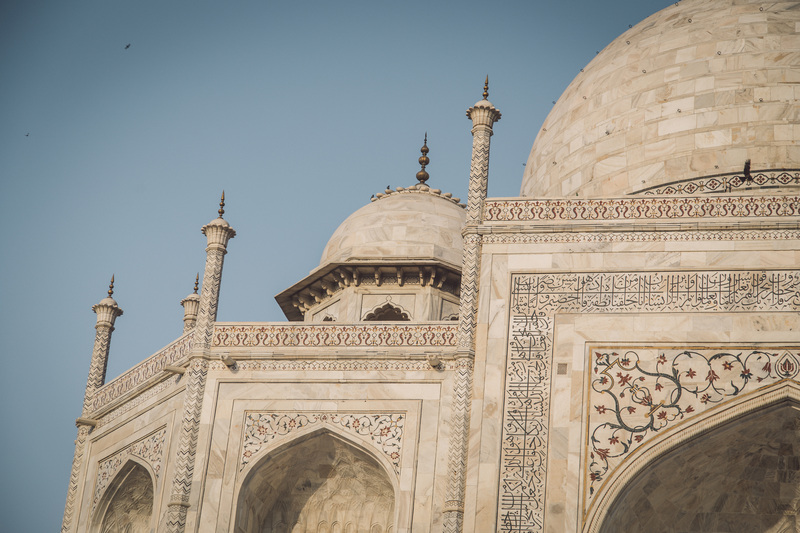 The Taj Mahal's white marble changes color with the time of day. Pastel pink or blue, dazzling white - if you spend the whole day there, you will experience the whole spectrum. Please remember that the Taj Mahal is an Islamic building. Although no specific dress code is enforced, it's best to dress modestly out of respect - this means covering knees and shoulders. 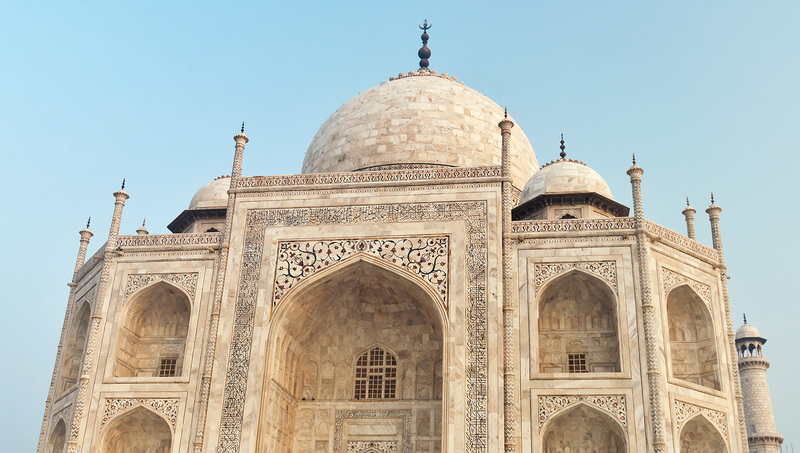 If you want to avoid the lines, it's best to arrive at the Taj Mahal at the crack of dawn. If you're not a morning lark, don't worry - this is one of the most beautiful times of day to view the monument and its gardens. Lockers are available, but please note that your bag is likely to be searched - no food is allowed to be brought into the Taj Mahal. Although you might be stopping at the Taj Mahal via New Delhi, the nearby city of Agra is worth a visit, too. It's easy to combine your Taj Mahal trip with a tour to Akhbar's fort and the ghost town of Fatehpur Sikri. Open from sunrise to sunset daily, closed on Fridays. Adult tickets start at just Rs710 (about $11) but go up once you add in tour packages and transportation. 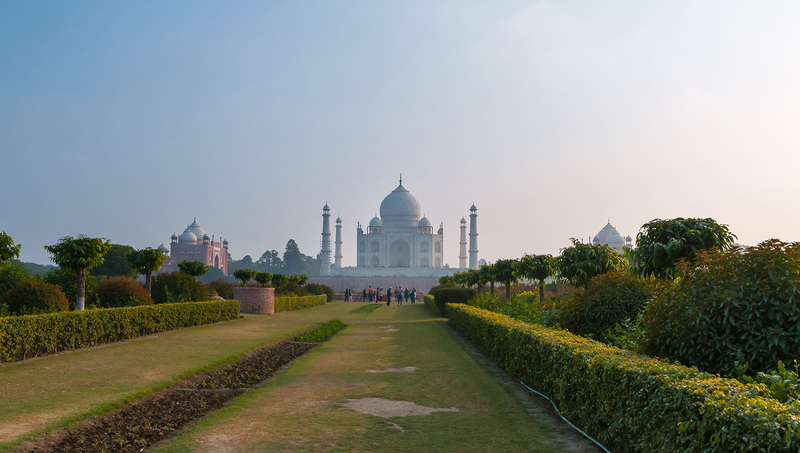 The Taj Mahal is one place where a guide will enhance your experience ten-fold. Look at a few different options in order to find the experience that works best for your group. Check trains departing from Agra for the easiest route. Ticket prices vary for domestic versus foreign visitors, but children under 15 are always free. Tickets can be purchased at the Western and Southern gates, and about 750 meters from the Eastern gate.